Come winter and we get fresh small amlas (Indian gooseberries). This astringent berry is blessed with a lot of Vitamin C which is needed as winter dawns and so do many respiratory and other illnesses. In my home, we eat this amla chutney very often. Ready in 5 minutes, it is made with just 5 ingredients and is quite tasty. Have it with your dosa, adai or along with your parathas or pooris in a meal, you will like its unique spicy flavour. 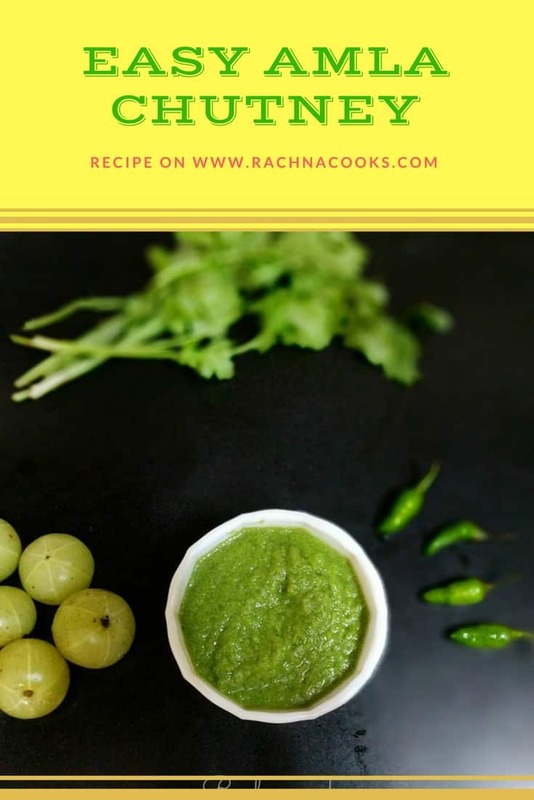 This tangy and spicy amla chutney is versatile and goes easily with your parathas, pooris, dosas and adais. 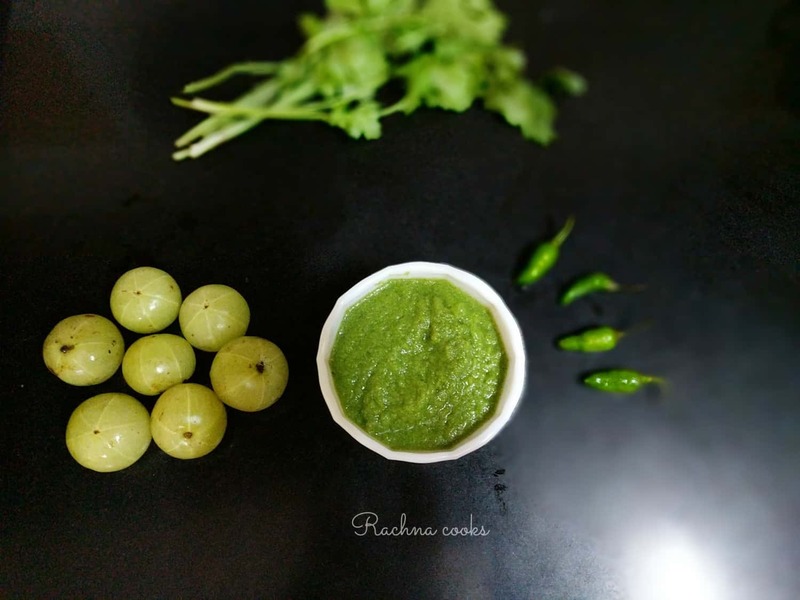 This 5 ingredient chutney is ready in minutes. Pit the amlas and cut the flesh into small pieces. Add with garlic, chillies, coriander and salt to the blender. Blend till smooth. Chutney is ready to serve. 1. You can also add mint leaves if you so desire. 2. The chutney can be kept in the fridge for a few hours. It will change its colour slightly when stored. Take small amla pieces along with green chillies, garlic cloves, coriander and salt in a blender jar. Add a little water and blend. Your amla chutney is ready to serve. 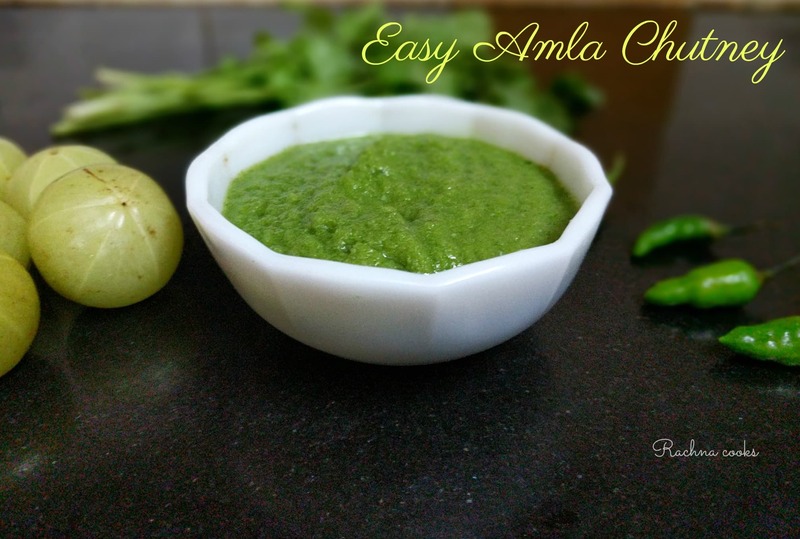 Do try this amla chutney and let me know if you enjoy it. This is an easy amla recipe to make. Since my kids like this amla chutney, you can give it to your kids and see. I also have the recipes of other Indian chutneys like raw mango chutney or kachche aam ki chutney. Do try it. Do you want a FREE 4 week Lunchbox Planner with different daily lunch ideas along with BONUS Snack ideas, all healthy and wholesome with recipe links? Get it here. Lovely! This looks mouth-watering. I love chutneys of all varieties and the green ones are a favourite at home. Wow ! I could feel the burst of its flavors in my mouth ! I am imagining the taste of this tangy chutney. Will certainly try this and will buy amla on my next visit to the market. Hey, this one’s super easy! As I was reading, I felt how wonderful it would be if one added mint to it, and I read just that at the end of your recipe! ? 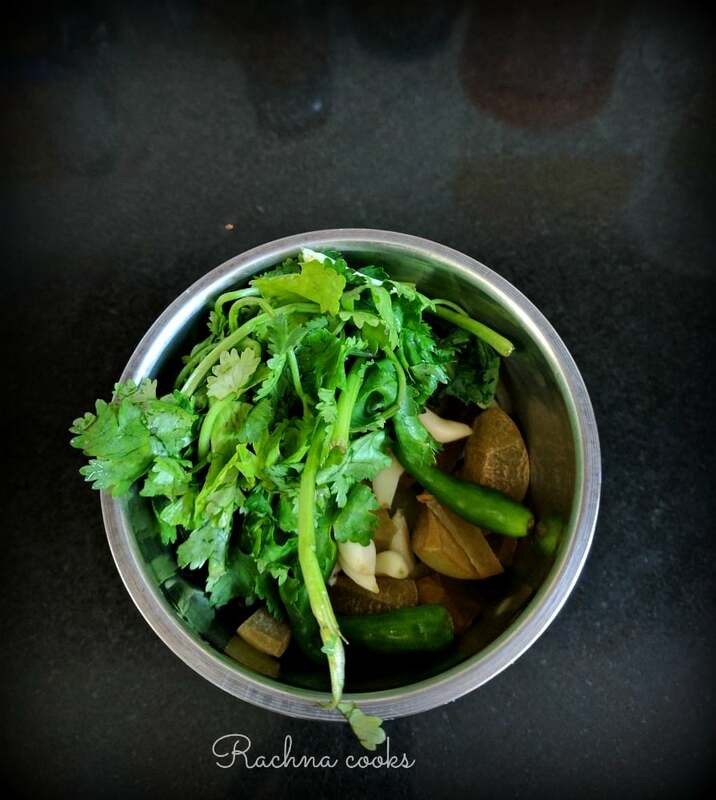 Loved it, Rachna…Will definitely try it! I love chutneys and mom makes some amazing ones. We both like tangy and spicy chutneys. You have made me salivate now!! ? Make it. It’s so simple. ? I’m salivating just looking at this ? Can you share a raw mango chutney too someday ?